Have an early breakfast and head to the park headquarters for briefing from the park rangers about the dos and don’ts while with the gorillas. Proceed for the memorable adventure penetrating the impenetrable forest in search for the gentle giants. This may take 2-8 hours depending on the movement of the animals. 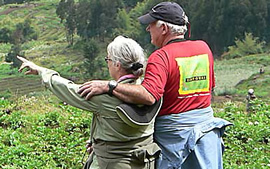 You will spend a maximum time of one hour enjoying the gorillas play, feed or rest while taking your observations and photographs. 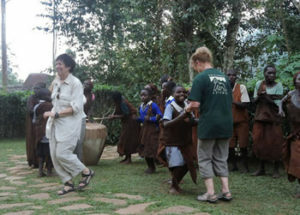 In the evening, you may go for cultural walk in the nearby Batwa (Pygmies) community, where you will be entertained and given tales of their unique culture. Dinner and overnight at Gorilla Safari Lodge (Luxury)/ Gorilla Mist Camp (Mid range)/Bakiga lodge. Just like the previous day,You will have an early morning breakfast and transfer to the park headquarters for briefing. 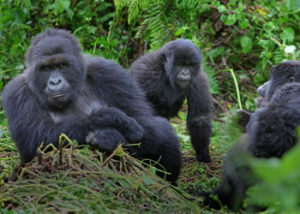 You will probably trek a different gorilla family but all following different trails. Dinner and overnight at Gorilla Safari Lodge (Luxury)/ Gorilla Mist Camp (Mid range)/Bakiga lodge. Take your breakfast at leisure at your hotel and later be ready to drive back to Rwanda. Your guide will drop you at your hotel or at the airport for your scheduled flight back home.